To Where the Wind Blew is a pet-project that was conceived as far back as the late 1980s. I wrote it and then wrote again as books titled ‘K.E.’s Mistress’, and later, ‘The Victims’. What you have today is a refined and more scripturally balanced version of these other stories. Over the years, two other books were written on the Eiba family – Modele’s love life in Promise Tomorrow, and Kade finds love in Till Day Breaks. Watch out for the amazing books. 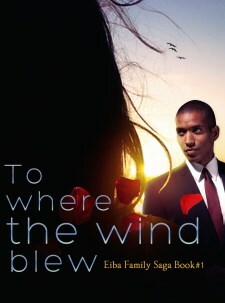 Did you enjoy the book, To Where the Wind Blew?